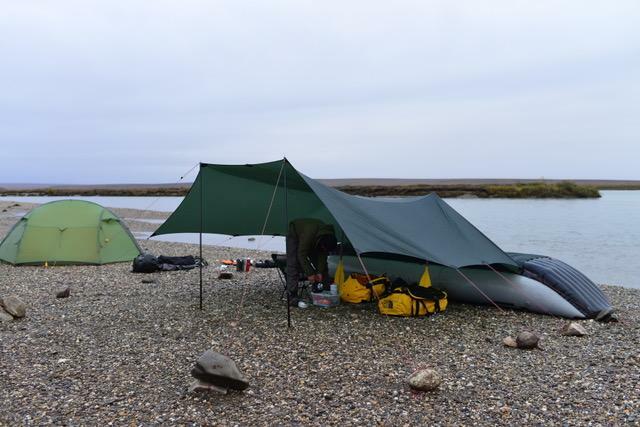 Everything you will need to get out and enjoy the rivers in Northwest Alaska. Included in all raft packages: break down rowing frames, oars, PFDs, all tie down straps, hand pump, a tool and repair kit, gear platforms, cargo nets. 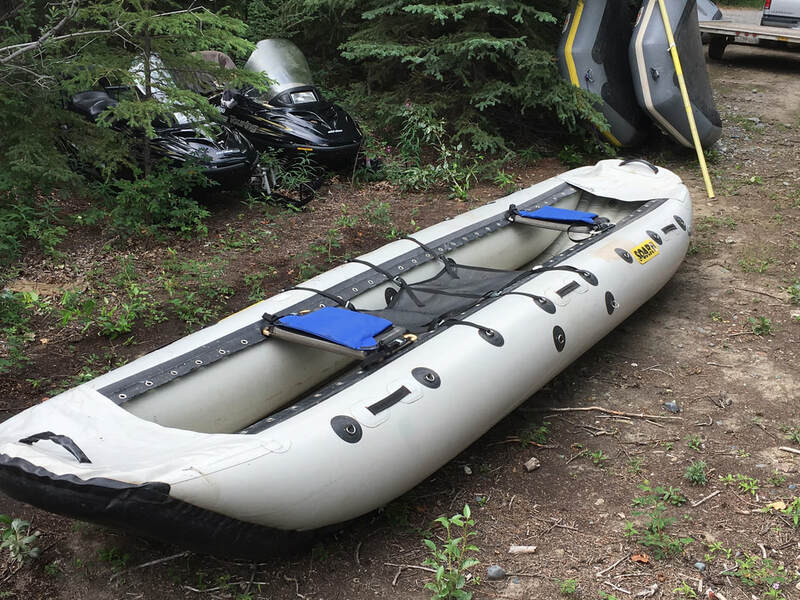 Fly out weight is 140 pounds-13 foot rafts and 155 pounds for most of the 14 foot rafts. 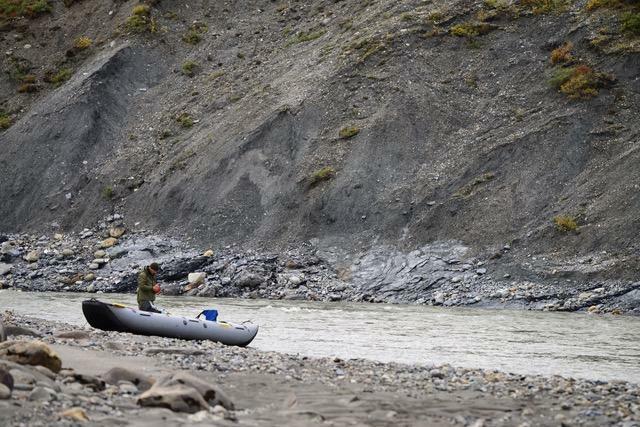 ​These canoes are a hunting machine! They have a capacity in excess of 1,000 pounds, are 16 feet long, roll up in a bag and weigh only 78 pounds! The perfect hunting platform for fly-out hunts. Strong, light and good capacity. Fly-out weight is 76 pounds. 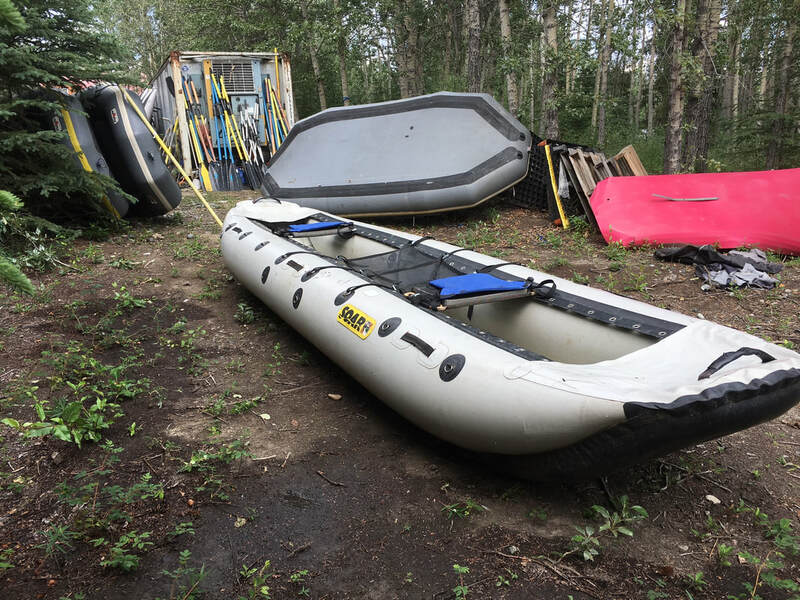 These Mac Daddy's are the largest inflatable canoe on the market and haul an amazing 2,100 pounds of moose, caribou or just gear! Lets put that into hunter speak....1 Moose, 2 Bou, your hunting partner and your GEAR!! There are perfect for that moose hunting float trip! Perfect for fly out hunts/trips because they only weigh 110 ounds and no rowing frame. Fly-out weight is 110 pounds. Why bring all that heavy equipment up to NW Alaska when you can rent top quality equipment so inexpensively! All of our equipment is in great shape and guaranteed to make your trip better. Leave the packing up to us! Everything you need to set up and enjoy life on the river! *We do not provide sleeping bags or stove fuel. We have had a lot of feed back on reducing the weight of our packages so we now will offer a light weight drop camp for those of you looking for a way to have high quality gear but and a lighter weight! We can add additional items as needed but this light weight package is designed to meet the needs of hunt groups who are flying out with weight restrictions, typically Super Cubs. We have just about anything you will need in addition to our camp packages! *Extra tents $150 per week/$25 a day. Great for keeping your gear dry! Now offering Bear Fence rental for your camp or meat rack. 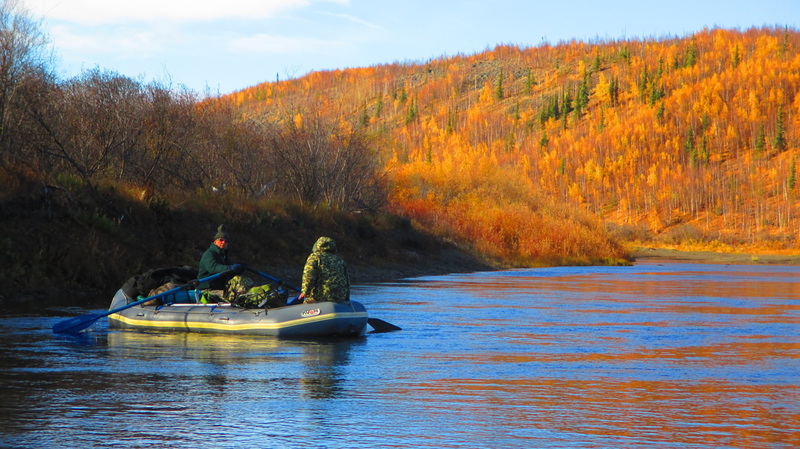 Moose/Caribou hunt on the Tag River-Selawik Wildlife Refuge. 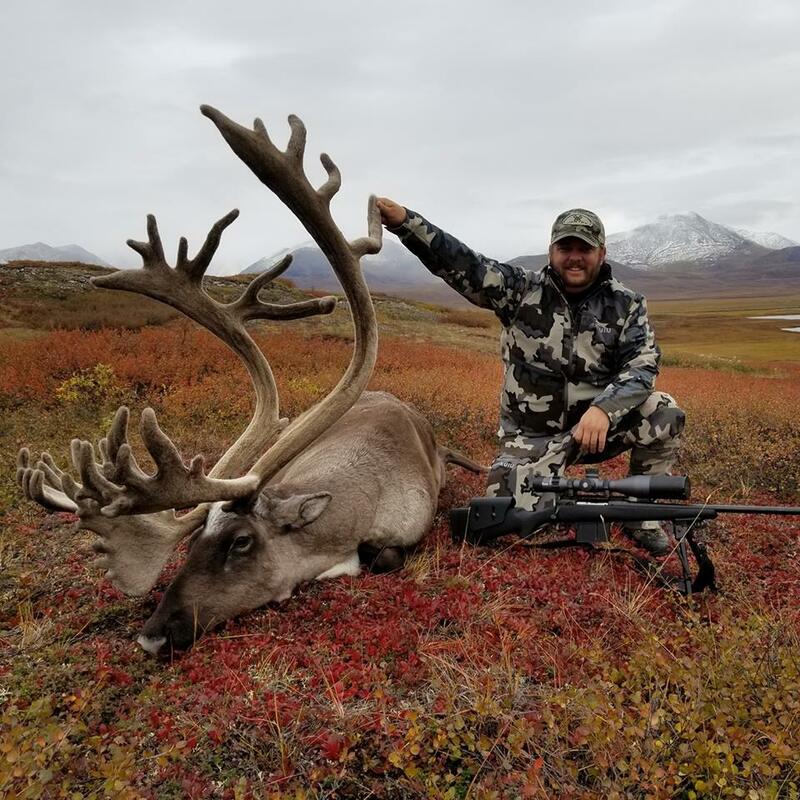 2018 Western Arctic success! 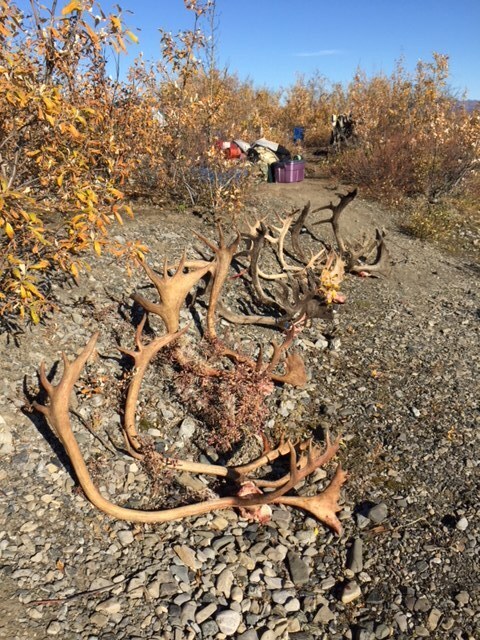 5 hunters, 5 bulls. This was a 10 day float hunt. 2018 WACH trip using a 18 foot SOAR Pro-Pioneer Magnum! 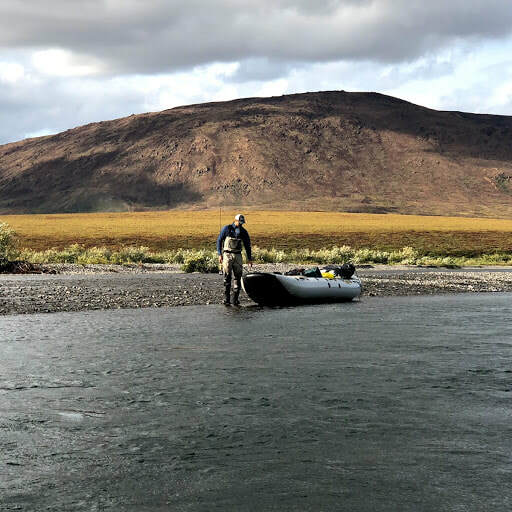 ​SAT PHONES: Because ALL rivers in NW are wilderness and there is no cell phone reception it is high recommended that rental groups bring a Sat Phone with them if an emergency arises. 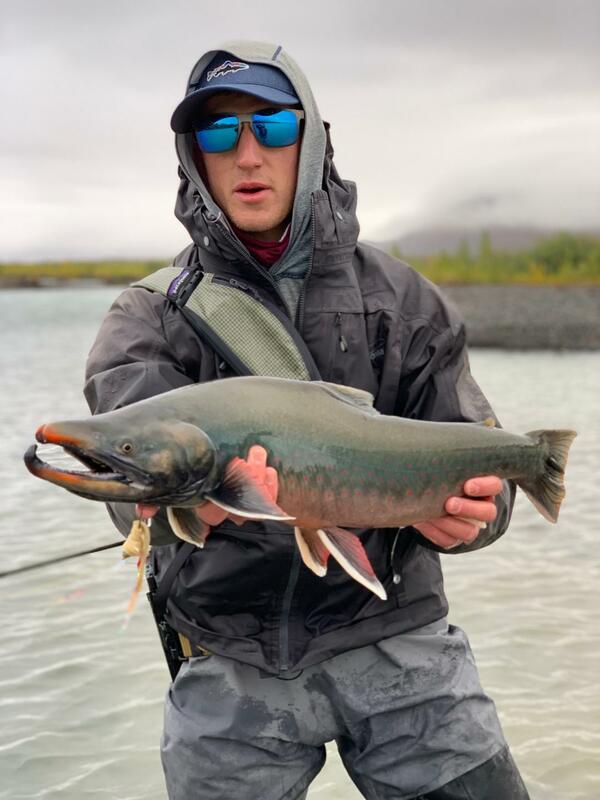 FLOAT PLAN: A written float plan should be left with NW Alaska Back Country Outfitters, family members and with your pilot. Be sure that you list an emergency contact number of who to contact in case contact needs to be made. ​RELEASE OF LIABILITY: Renter hereby RELEASES Lessor (Gulkana Raft Rentals/Northwestlaska Back Country Outfitters), its owners and its employees from liability for negligence and HOLDS HARMLESS the Lessor, its owner and its employees from any loss, expense or cost, including attorney fees, arising out of any damages or injuries, whether to persons or property, occurring as a result of the rental or use of said boat and/or Equipment.